Whether you’re in the mood to lounge your days away on a quiet beach with beverage in hand or immerse yourself into an outdoor adventure the Osa Peninsula’s Iguana Lodge Resort offers you a perfect place to stay. It’s a tropical beachfront resort with a huge list of amenities and a delicate balance between luxury and eco-friendly sustainability. The 12 acre resort is nestled between the beach and forest outside of town. There are a few neighbors within walking distance but it feels very secluded and peaceful. The resort is located 10-15 minutes drive to or from Puerto Jimenez, mostly because the road is unpaved and rough. A taxi will run you $10 each way. Everything you need is located on site so you won’t have to leave if you don’t desire. 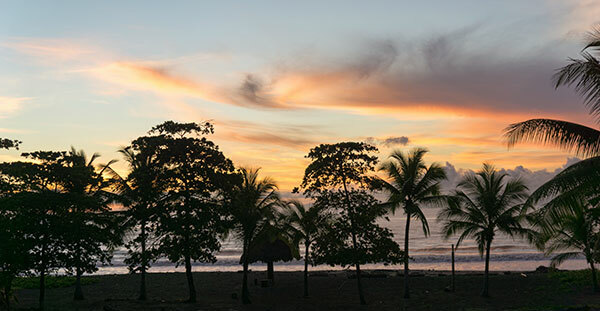 The majority of travelers coming to the peninsula have come to see Corcovado National Park and I was no exception, this resort ended up being a great location to base myself before and after hiking and camping there. The Beach House – big groups or families can enjoy a nearly 5,000 sq. 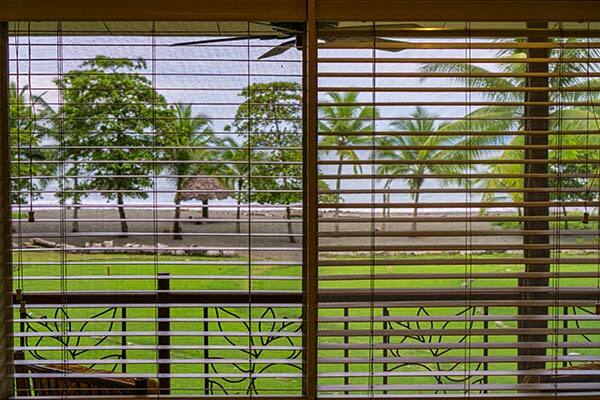 foot 3 story, 3 bedroom beach house with a large furnished deck, a kitchen and separate living areas . Casitas – Secluded 2 story 850 sq. foot casitas with private deck, natural stone showers. A perfect place for couples or smaller families. Club Rooms – located on the 2nd story of the Perla restaurant building. Despite their location these rooms are surprisingly quiet and comfortable. 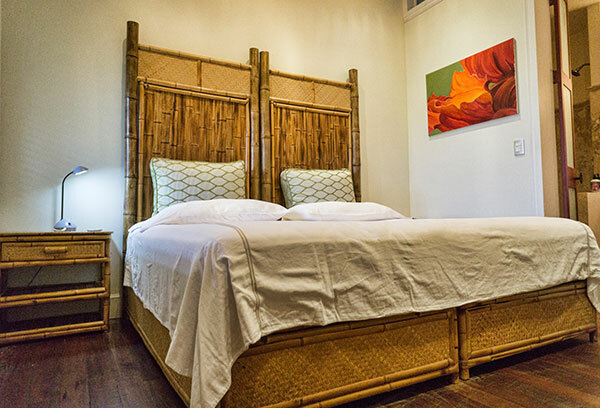 My room had beautiful wood flooring, a large bed, bamboo furnishings and marble bathroom. Best of all was the incredible ocean view right out the window! 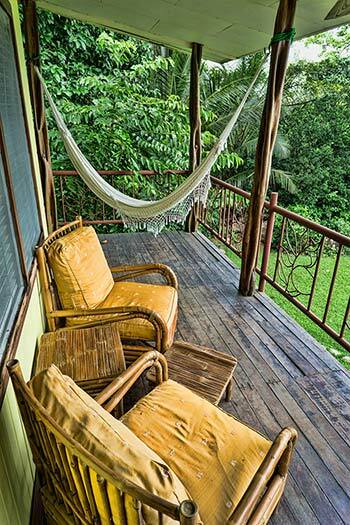 The deck was furnished with chairs and hammocks, a great place to kick off the shoes and enjoy the view. As a digital nomad having internet is needed and the wifi worked great in my room. Relaxing right outside my room. There are 2 restaurants – the fine dining of Iguana Rancho which was closed for renovations during my stay (I watched workers building a new thatched roof, very neat!). The second is the Pearl of the Osa Beach Bar & Grill. During my stay I tried all 3 daily meals – breakfast, lunch and dinner. Every dish I tried here was delicious. In fact, the burger I had for lunch was the best beef I’ve had anywhere in Central America. The staff at the bar also know how to make some incredibly tasty exotic drinks (and fruit smoothies). There’s enough variety on the menu that you really don’t need to eat anywhere else if you don’t desire. The owners, Toby and Lauren live and eat at the resort and have been living in Costa Rica for more than 12 years. They’re incredibly nice and you can tell they take great pride and care in what they’ve created here. Their staff always had smiles on their faces, were helpful with anything I needed, and like nearly all the ticos I met in Costa Rica they were friendly and interested in chatting with me whenever I had free time. You can’t beat having an undeveloped, unspoiled beach on site and the resort offers complimentary kayaks, boogie boards and paddle boards. If you’re into it there are 2 yoga studios with sessions led by the owner Lauren. When your not in the mood for the sandy beach, there’s a chemical free 55 foot pool, an attached jacuzzi and a huge outdoor spa. It’s all surrounded by trees, flowers and a garden. Relaxing out by the pool I spotted monkeys and iguanas. The resort has a full list of available Osa tours and experienced guides – they’re ready to book your desired activities and make sure you have the best possible time. When their recommended guide was unavailable on short notice they went out of their way to find someone else that met my unique requests. Whenever possible I like to support businesses that are eco-conscious. 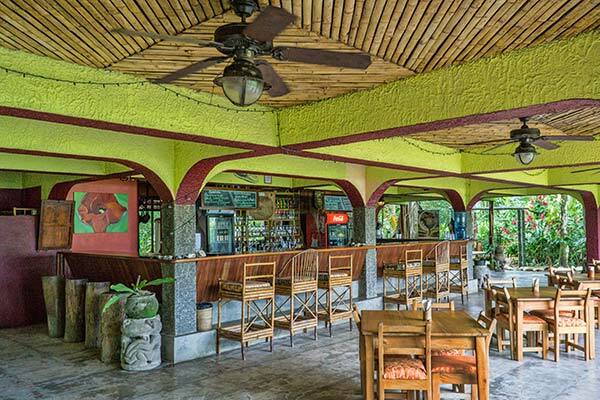 The Iguana Lodge supports the local community and has applied numerous environmentally responsible measures where feasible. 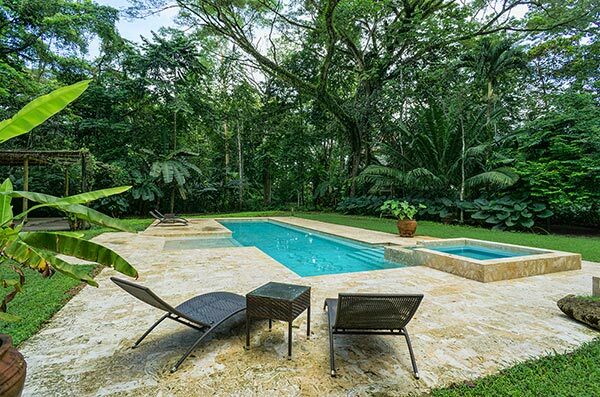 You can read about their efforts to comply with the Costa Rican and international Sustainable Tourism guidelines here. The resort has impressively combined an excellent location, luxurious accommodations and responsible practices into an experience that few others could match. It’s not for everyone though – there are no televisions, no air conditioning, and no hair dryers (This is the Osa after-all, there are very few places offering any of those things, you should be here to experience the wild and untamed nature!). It’s also not cheap, budget backpackers whose only requirements are a bed to lay on regardless of location won’t like the price tag – but if you have room in your travel budget to the prices are very reasonable and well worth it. It looks really fun and colorful. I’m sad I never heard of it when I was in the area. Looks beautiful with those gorgeous shots. Glad to have discovered your blog and hope to visit the Iguana Lodge one day. Wow Iguana lodge looks beautiful. I think you would have a tough time dragging me off that hammock- I love them! Oh wow, the resort looks amazing! 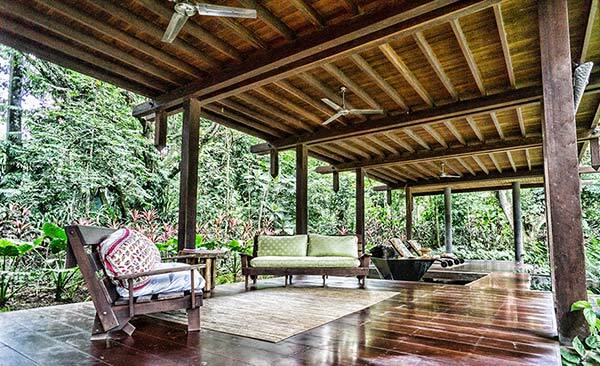 I would love lounging in that hammock. Bliss! This looks like a beautiful place to stay… so very relaxing, colourful and comfortable.